Dubai, UAE, May 08, 2018 -- Fortinet® (NASDAQ:FTNT), a global leader in broad, integrated and automated cybersecurity solutions, today announced financial results for the first quarter ended March 31, 2018. Diluted non-GAAP earnings per share in the range of $1.51 to $1.55, assuming a non-GAAP tax rate of 24%, and including an earnings per share benefit associated with the adoption of ASC 606 of approximately $0.19. This assumes a share count of 175 million to 177 million The above guidance for the second quarter and full year of 2018 includes the transition impact of ASC 606 adoption, which was effective January 1, 2018. Our guidance with respect to non-GAAP financial measures excludes stock-based compensation and amortization of acquired intangible assets. We have not reconciled our guidance with respect to non-GAAP financial measures to the corresponding GAAP measures because certain items that impact these measures are uncertain or out of our control, or cannot be reasonably predicted. Accordingly, a reconciliation of these non-GAAP financial measures to the corresponding GAAP measures is not available without unreasonable effort. 1 A reconciliation of GAAP to non-GAAP measures has been provided in the financial statement tables included in this press release. An explanation of these measures is also included below under the heading “Non-GAAP Financial Measures.” Keith Jensen Named Chief Financial Officer Keith Jensen, who has served as Fortinet's interim CFO since February 16, 2018, has been appointed CFO by the company’s board of directors. In addition to serving as Fortinet’s interim CFO, Keith served as Fortinet’s chief accounting officer since May 2014. “I want to thank the board of directors for their support and I look forward to working with Ken and the entire Fortinet team to continue to grow the company,” said Keith Jensen. 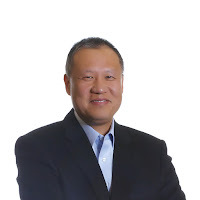 “Keith is a valued member of the executive team, and I look forward to continuing to work closely with him on our mission to provide the best security for our customers,” said Ken Xie.